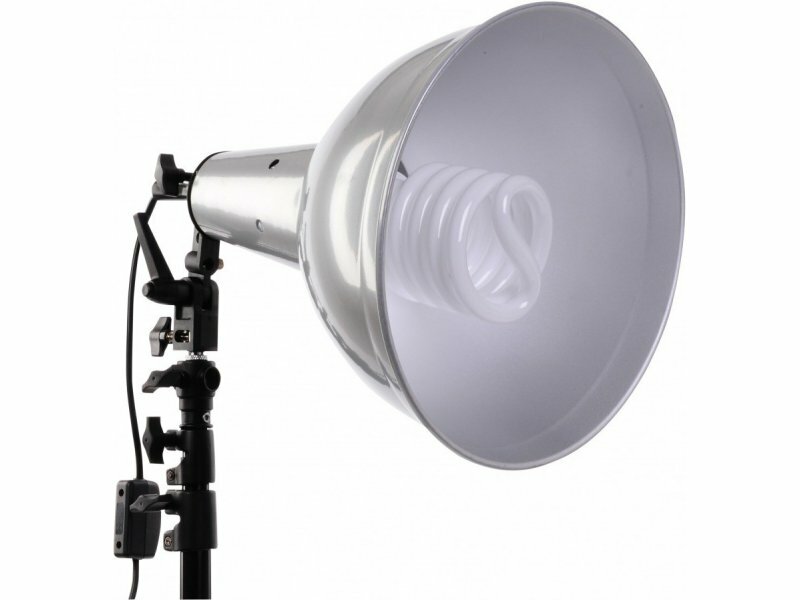 Biglamp 501 Mega light has a universal E27 socket, max 250 W. It features an umbrella holder, tiltable tripod attachment (5/8" and 3/8" spigot). 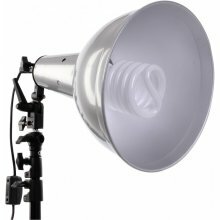 In addition, there's a 3,2 meter long cable and a silver matte aluminium reflector which is 33 cm deep and has a diameter on 30 cm. Universal holder 501 included. Delivered without bulb.